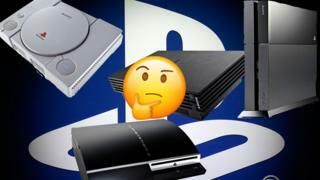 Gamers have been waiting patiently to find out any information about PS4's replacement, but until now details have been kept firmly under wraps. Now Sony's system architect Mark Cerny has released information about what the "next-gen console" will look like. But don't expect to be able to buy one in 2019 - you'll have to wait until at least next year to see it on shelves. Good news for avid PlayStation users - the new console will include a high-speed solid-state hard drive (SSD). While that won't mean much to a lot of people, the point of the SSD is to dramatically reduce things like loading times - which will make everyone's gaming experience a bit better. "No matter how powered up you get as Spider-Man, you can never go any faster than this," he says about the PlayStation 4. "That's simply how fast we can get the data off the hard drive." Cerny tells Wired that as a gamer himself he was left frustrated that there wasn't much change in audio between PS3 and PS4. "With the next console the dream is to show how dramatically different the audio experience can be," he says. PS5 (which isn't the official name of the new console) will see gamers being immersed in audio from above, behind and from the side, according to Cerny, and will be experienced best through headphones. The next PlayStation supports ray-tracing graphics - the first time a game console has ever managed graphics like it, Cerny says. They're usually used in Hollywood special effects, and occasionally in high-end processors. It's also worth noting that while the PS5 will have all of these improvements, you don't need to worry about compatibility with PS4 games. When it will be released - although Cerny says it won't be this year, so don't expect to get your hands on one in 2019. The name of the console. It's already being dubbed the PlayStation 5, but Cerny hasn't confirmed its official name - yet. Video Can Nintendo make virtual reality gaming a success?